Hey guys! I'm a super excited to kick the series off. Instead of doing an introduction post about the series, like we usually do, I am going to just talk about it here. Anyone who transitioned to a vegan or vegetarian diet has heard all of the questions and the "scientific" facts about how unhealthy it is to not eat animals. During this series, we are going to discuss a handful of those things and we are going to provide information and facts proving those things wrong. We are going to cover protein, fat, calcium, expense, if it is a boring diet, if it is safe for pregnant women, and if it is safe for children. I would like to take a moment to say that, I am not a doctor. You should always consult your doctor before making major changes in your diet. I also suggest that you get your blood tested every once and awhile to make sure you are getting all of the necessary nutrients that your body needs. The first topic I am going to cover today is protein. This was the number one concern from my loved ones when I transitioned over to a vegetarian diet. 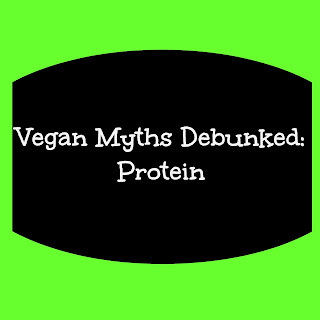 For some reason, unknown to me, it is a common belief that you can only get protein in meat. 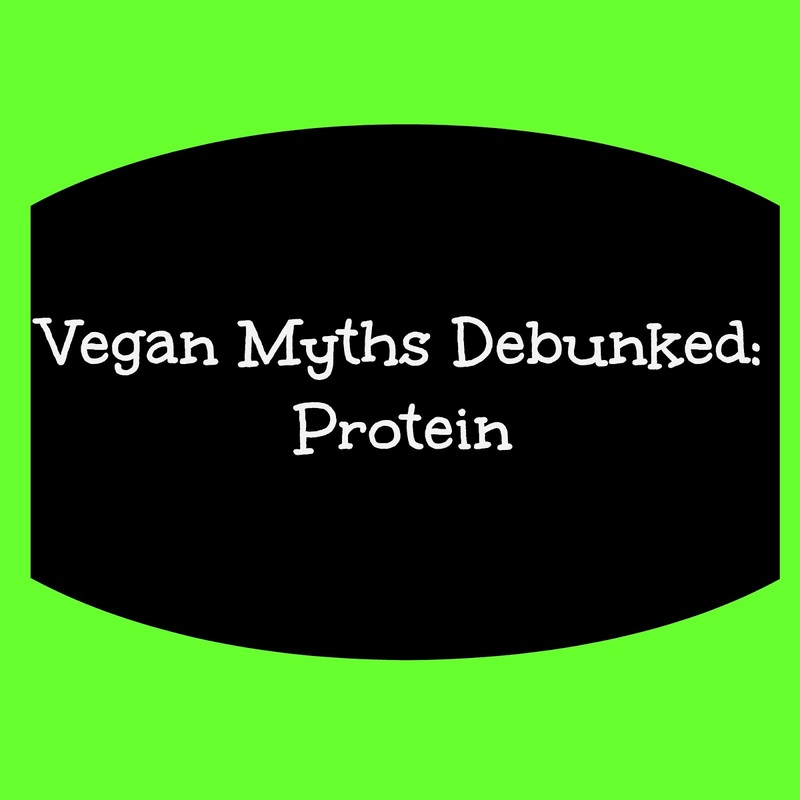 There is also a misconception of how much protein a person actually needs. According to WebMD the average adult male needs 56 grams a day, the average adult female needs 46 grams a day, and women who are pregnant or breastfeeding need 71 grams a day. So, unless you are pregnant or an Olympic athlete you are more than likely getting the protein you need without even trying. On that note, there are a lot of vegan and vegetarian athletes, to see a list of a few, click here. This also doesn't mean that you have to eat meat when you are pregnant. You just need to be a bit more aware of the things you are putting into your body. Since I am not pregnant, I will give you a few places you can go to follow pregnant vegetarian/vegan women and what they eat. I highly suggest VeganBaby and Ashley Green both are great resources for those of you expecting! B12 is another one of those things we hear a lot about! B12 is a type of protein that is important for the brain and the nervous system. If you still eat cheese and eggs, no worries it also found in those two foods. If you are Vegan a few other places you can get b 12 is through supplements (make sure they are vegan), whey powder (I actually found out this is not vegan, don't stop learning folks! ), and nutritional yeast. Trace amounts of B12 have also been found in Aloe Vera! If you are concerned with becoming deficient in B12, you should visit your doctor and get a blood test. A few other things you can do to ensure you are getting all of the protein you need is to make sure you are eating beans, nuts, quinoa, as well as soy products. Honestly, you do not have much reason to be concerned. The most important thing you can do is educate yourself. Educate yourself on truths. This may take a bit to digging. Believe it or not, this information is not as readily available as one would hope. If you are interested in learning more about why that is to check out my review of the documentary Cowspiracy or to watch the documentary itself. Are there any topics you would like me to touch base on? Is there any information I missed about this topic? Any thoughts? Leave them all in the comments below! I promise I will answer every single one. I will be more than happy to expand on this topic a bit more. The article you linked is very interesting. 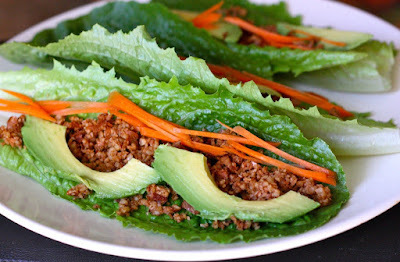 A lot of people believe that you need to eat meat to survive and that is simply not true. You can get all of the proteins your body needs to survive from plants. With chia seeds, it is important that you prepare them correctly. Chia seeds need to be soaked in water before you eat them. If you do not soak them your body will not digest them and they will come out with your waste. The most important thing is to make sure you are eating a complete diet. The mistake that many make is that they do not eat a verity of food. I hope this was able to help!